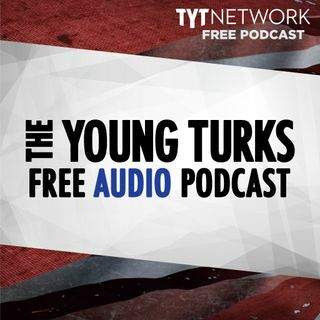 A portion of our Young Turks Main Show from March 7, 2018. For more go to http://www.tytnetwork.com/join. Hour 1: Cenk & John. The most striking thing about the much-hyped Texas primaries is how ordinary they actually were. That was the message from the Texas Tribune’s Evan Smith, who has been following the state’s politics for the better part of three decades, when I spoke with him by phone. At the end of the day, 1.5 million Republicans voted in the primary and 1 million Democrats did. ... See More Despite the blue Texas hype and anti-Trump national environment, Republicans held a 500,000-vote advantage once all the ballots were counted. “Democrats like to say Texas is not a red state, it’s a nonvoting state. Fine. But the fact that it’s a nonvoting state means that it’s a red state,” Smith, the Tribune’s CEO, told me. “At the end of the day, yesterday was more or less a regular Texas election. More Republicans turned out than Democrats.” Sen. Ted Cruz said Wednesday that his re-election campaign was "just having a sense of humor" when it released a radio ad teasing Rep. Beto O'Rourke, who won the Democratic primary, for going by Beto rather than his given name, Robert. "In terms of the jingle, some of it is just having a sense of humor," Cruz told CNN's "New Day." "We had some fun with it." Cruz, meanwhile, goes by Ted instead of his given name -- Rafael Edward Cruz. "You're absolutely right. My name is Rafael Edward Cruz," Cruz acknowledged. "I am the son of my father Rafael Cruz, an immigrant from Cuba who came to Texas with nothing." Hour 2: Adult film star Stormy Daniels sued President Donald Trump on Tuesday, alleging that he never signed a nondisclosure agreement that his lawyer had arranged with her. Stephanie Clifford, known professionally as Stormy Daniels, signed both the agreement and a side letter agreement using her professional name on Oct. 28, 2016, just days before the 2016 presidential election. Cohen signed the document the same day. Both agreements are appended to the lawsuit as Exhibit 1 and Exhibit 2. The "hush agreement," as it's called in the suit, refers to Trump throughout as David Dennison, and Clifford as Peggy Peterson. In the side letter agreement, the true identity of DD is blacked out, but Clifford's attorney, Michael Avenatti, says the individual is Trump.